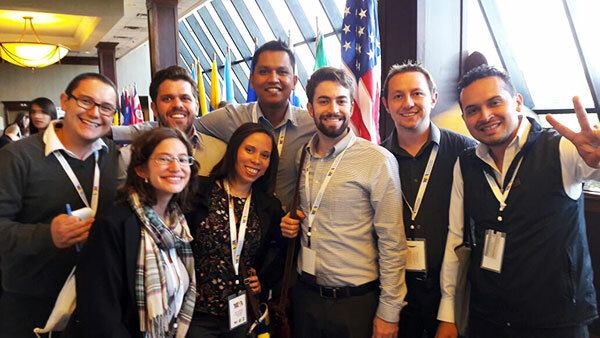 The Young Leaders of the Americas Initiative (YLAI) empowers entrepreneurs to strengthen their capacity to launch and advance their entrepreneurial ideas and effectively contribute to social and economic development in their communities. In fall 2018, 250 YLAI Professional Fellows from Latin America and the Caribbean will expand their leadership and entrepreneurial experience through fellowships at businesses and organizations across the United States. Through the YLAI Entrepreneurship Institute and the individualized Fellowships, YLAI Fellows will accelerate their commercial and social ventures’ success and develop specific action plans to carry out upon return to their home countries. YLAI Fellows will build networks, linkages, and lasting partnerships to attract investments and support for their entrepreneurial ventures. Learn more about it at this link (https://ylai.state.gov). The International Visitor Program welcomes 150-200 international visitors each year. Your participation - whether you are a professional, volunteer or student - helps support our mission to promote international awareness. We invite you to expand your world by joining the World Affairs Council and our network of citizen diplomats!